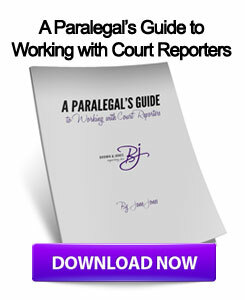 The court reporting industry is known for its ability to implement new technology into its standard mode of operations. 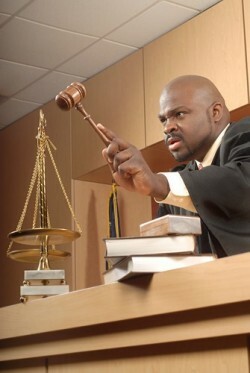 Evolving from handwritten deposition transcripts to stenograph machines that allow reporters to take down hearings and other events in realtime, these professionals have always been able to not only keep up with the pace of the court system, but even provide a unique experience. For example, Jane Moore was a court reporter in Tippecanoe County, Indiana during the the middle to late decades of the 20th century. While she was often busy recording hearings and creating transcripts from the court system, she was able to find some free time to weave in a passion of hers. When Moore was not transcribing depositions or hearings, she was sketching headshots of attorneys and defendants on small notepad paper, according to the JC Online, a local paper. She did this throughout the late 1960s and early '70s often giving the sketches to Tippecanoe Circuit Court Judge Don Daniel, who kept them in two different photo albums. While Judge Daniel has often kept these sketches in his chambers, he was recently able to post them in a local pharmacy, which gladly took in as many as they could hang on their walls. "People came just to see them. Relatives of people in the drawings came to see them," Steve Klink, owner of the pharmacy, told the source. "Lawyers who were pictured got a big kick out of it. It was interesting for everyone to see the defendants and talk about the old cases." As technology evolves, lawyers and judges can still use court reporters as a way to not only transcribe depositions and hearings, but also provide headshots of suspects and witnesses. By partnering with Wisconsin court reporters that offer video deposition services, litigators will be able to effectively represent their clients and receive accurate deposition transcripts while obtaining videos and still frames that can provide whatever visuals may be needed. This entry was posted on Wednesday, December 26th, 2012 at 8:21 am	and is filed under All Posts, Court Reporting News. You can follow any responses to this entry through the RSS 2.0 feed. You can skip to the end and leave a response. Pinging is currently not allowed.